Gretchen Rubin has launched the Happier Podcast Book Club, and the first pick is Dani Shapiro's Inheritance. ❝ Nothing makes me happier than reading a great book -- unless it's the chance to talk to other people who've loved that book as well. 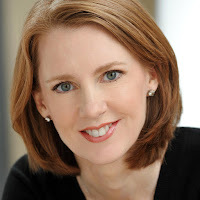 GRETCHEN RUBIN is the author of the #1 Bestselling book The Happiness Project. Watch her discuss breaking habits and finding habits below, and learn more about booking Gretchen for your next event today.